I’ve just realised that I have never detailed the build of this bike. I tried my best to recreate a build specification that was sent by Gerald O’Donovan to a customer in 1982. 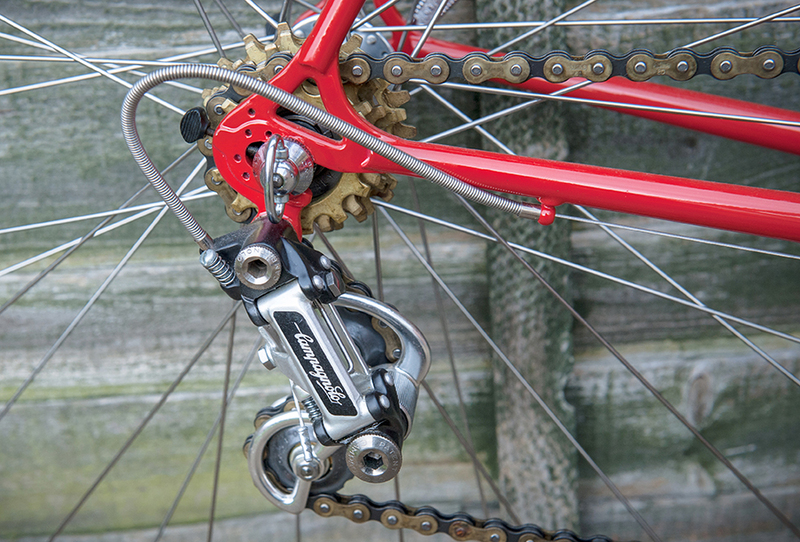 Before continuing with the post below, I’ve updated SB4059 since this post was written as I’ve found more and more original and period correct NOS parts, changing saddle, freewheel, chain, tubs, toe clips and straps. This post is a comprehensive list of the spec as it was and has lots of information. Please see the following posts for more a more up to date specification. 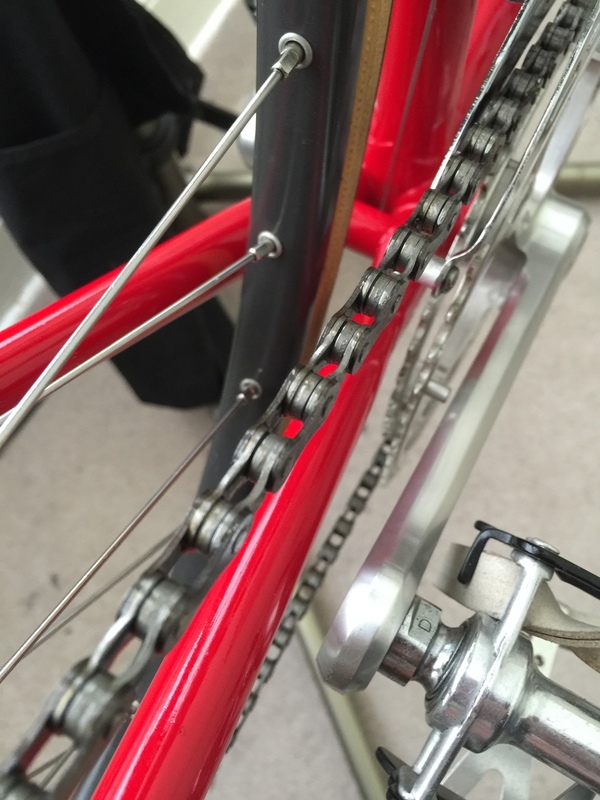 As my bike was built in 1980, there are a couple of items that don’t exactly match. There are also a couple of small differences due to the age and growing rarity of components. So, here goes, starting with frame and forks – this might get a little bit detailed and will be a very long post so please bear with me! 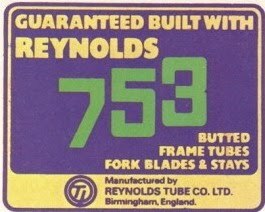 Reynolds 753 was introduced around 1975. It was a metric diameter tubing with measurements of 28.0 mm O.D. for the seat and down tubes, 26.0 mm O.D. for the top tube. Seat posts for these 753 frames are either 27.0 for small frames or 26.8 mm for large frames. This depended on the code of tubing used. 801 was slightly lighter, and 803 was used on larger frames. My seat pin size is 27.0 mm because of the 801 tubing. 753R and 753T are Imperial. Tubing diameters are 28.6 mm O.D. for the seat and down tubes, 25.4 mm O.D. for the top tube. This 753 tubing was introduced around 1983. 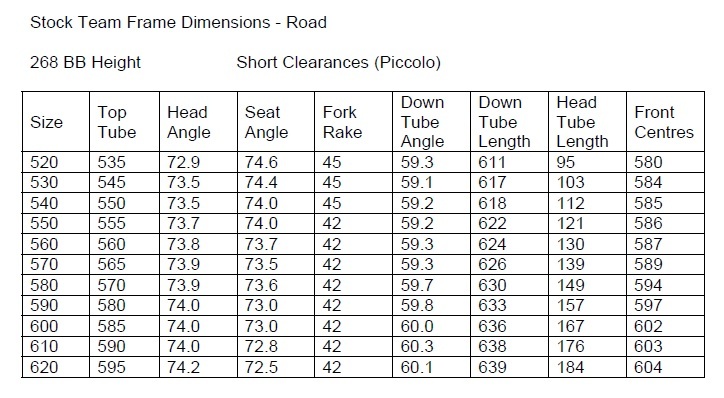 Seat posts for 753R and 753T are either 27.2 or 27.4 mm. Unfortunately, the frame and forks no longer have the original Ilkeston paint. It has been renovated at some point in its lifetime, like so many others. If you are not careful at the point of renovation, and don’t know the finer details of these frames then tiny discrepancies can occur. My frame does have the correct black head tube. 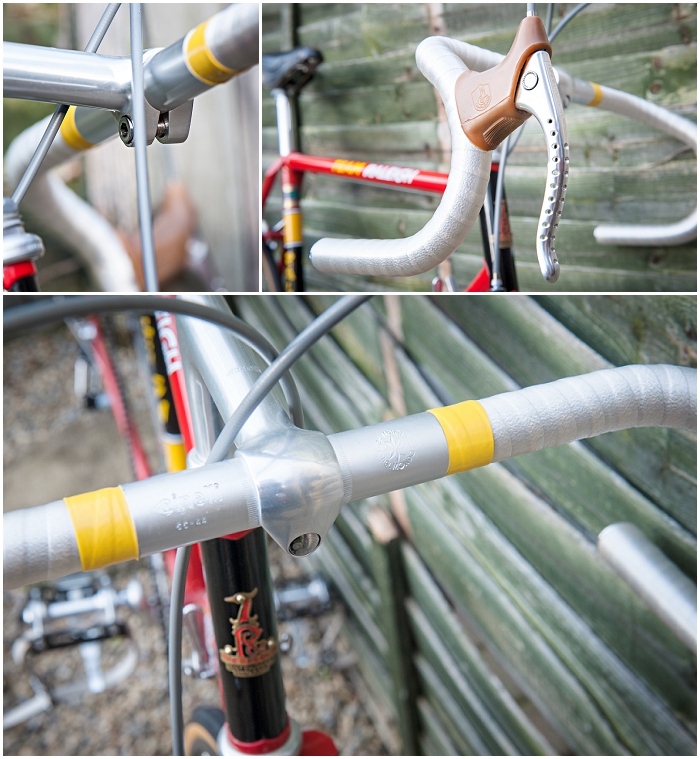 Early SBDU frames from 1974 may have the yellow head tube, but this was changed very early in the SBDU history – it was thought that the Raleigh head badge would be seen better on a black tube rather than yellow. Although my frame looks ok, it has 3 decal issues. 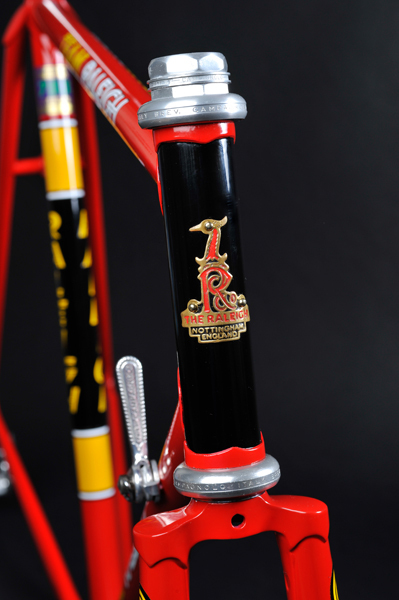 The top tube has “Team Raleigh” – this looks correct but SBDU stopped doing this in approx 1975. From 1975, these frames would simply have a “Team” decal. The 753 decal is incorrect. It has a decal from post 1983 when 753 changed from metric to imperial. Finally, it has missing Ilkeston oval decals on the chain stays. My frame number is SB4059. This is generally stamped under the bottom bracket shell along one edge with the frame size stamped on the opposite edge. Typically, it is in the format “SBxxxx”, but I have seen others that differ slightly, sometimes with the number before the SB and sometimes the frame size and frame number on the same edge. 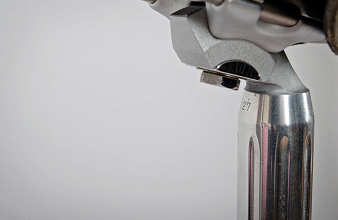 Serial numbers without the SB prefix can also be found stamped into the fork steerer column. The build year of my frame is 1980. There are no detailed records or logs for frames produced by the SBDU. All dating evidence is done by comparing your number against others. Several owners have paperwork, build sheets or receipts that tie in with their frame, giving an accurate build date. This can be used as an excellent indicator to date a frame, together with knowledge of the amount of frames produced each year by the unit. Most SB frames were built to a standard specification with regard to tube lengths, angles, braze-ons. Any frame with both an SB number and a reference beginning with “H” would indicate something built to a customer specification. Frames ridden by the professional TI Raleigh team would be different again. A professional team rider frame would not have an SB number or an H reference. It would simply have the rider initials followed by the frame sequence followed by the 2 digit year. For example, a team frame stamped HL.1.83 would be for Henk Lubberding, his first frame for 1983. 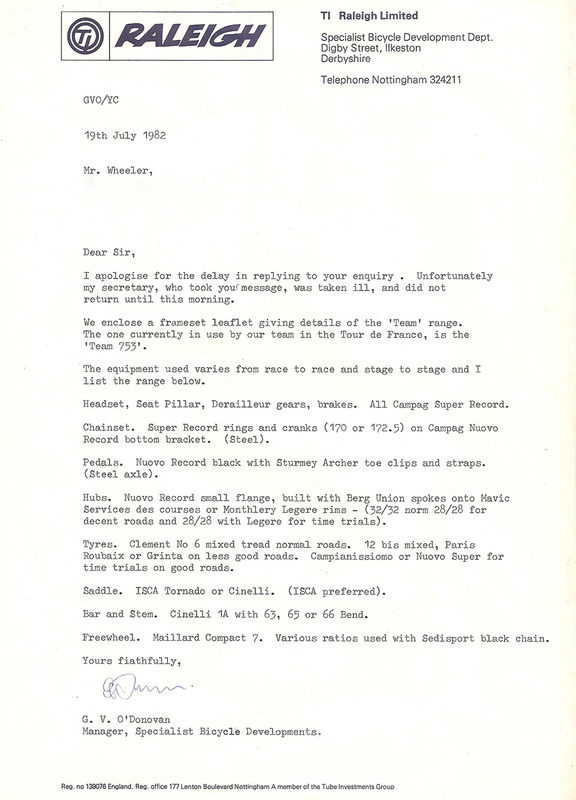 *NOTE: Although the Super Record groupset had a Titanium bottom bracket (Part Number 4031 1st Gen Hollow, 2nd Gen Solid), the Steel Nuovo Record BB was specified on the Team bikes. *NOTE: Although the Super Record groupset had Titanium axle pedals (Part Number 4021), the steel axle SL pedals were specified on team bikes. 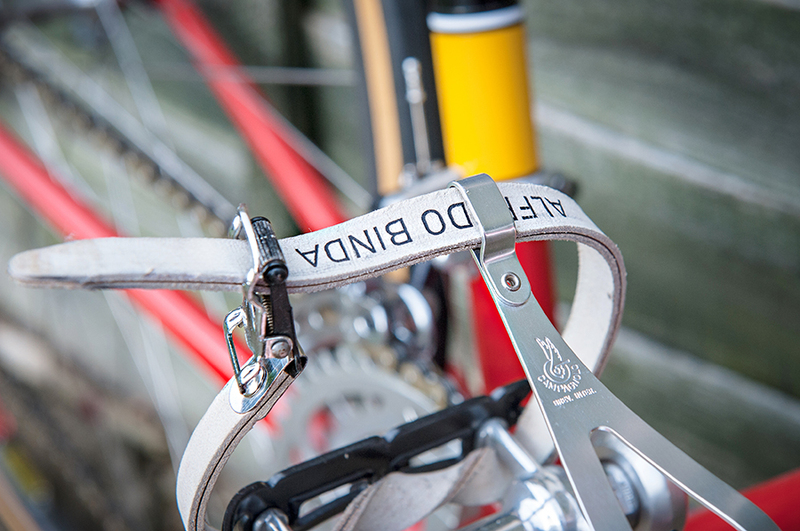 The SBDU also specified Sturmey Archer Toe Clips and Straps. *NOTE: Super Record hubs with part number 4014 were introduced by Campagnolo but removed shortly after as the Titanium axle would snap. **NOTE: SBDU specified either 32/32 or 28/28 spoke drilling. However, the rarity of available rims meant that I had to use 36/36 for this build. Cinelli 1A stem with Cinelli Campione Del Mondo 66-44 Handlebars. Within the last year I acquired a Raleigh Team bike, serial number SB 4197. My frameset is said to have been repainted by Ron Cooper. Much of the component group is the same as you stated with notable exceptions being Simplex SJ braze-on shifters, Yellow Sella Italia saddle and Continental 4000 GP tires. 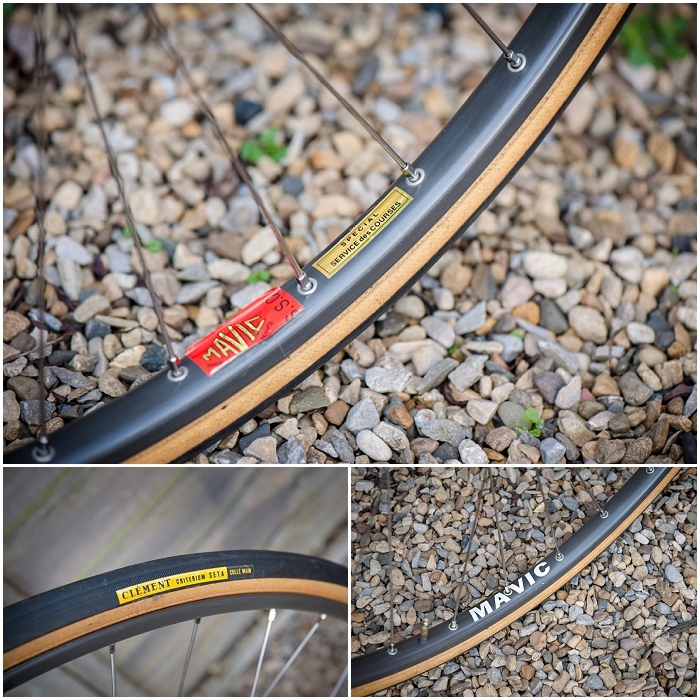 Sadly, the Mavic SSC rims have taken significant impacts over their lifetime and will likely need replacing. Equally sad is the fact I use to have a set years ago only to have passed them along to a fellow cyclist. Would like to exchange notes if you are interested. Hi Keith – thanks for the comment. Your SB number is just a little younger than mine (1980/81). Simplex levers were often used instead of the Campagnolo levers, they give a lovely gear shift whereas the Campagnolo levers were often known for slipping out of gear. 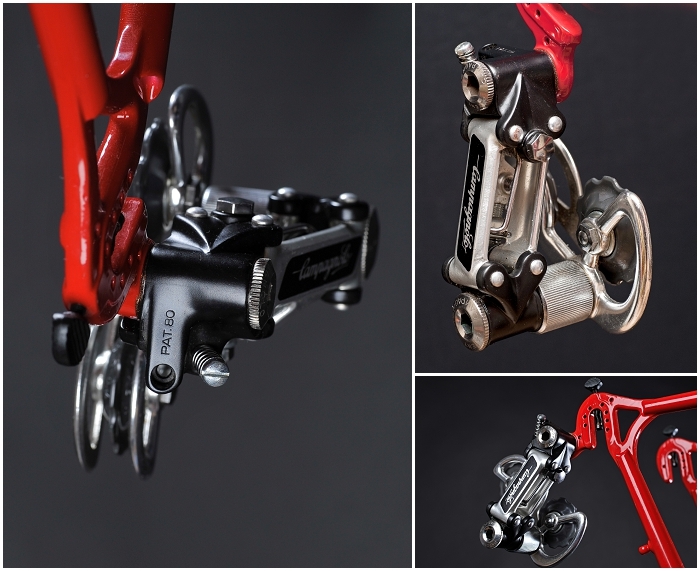 I went with the Campagnolo levers as that is what was spec’d by the SBDU. I do actually prefer the Simplex lever and have a set that will be going on another build. Over the years, I wish I had never let so many parts go – good condition period parts are hard to get hold of now without having to pay silly money! Got the post from Paul and thought I would fire off another note to you. I found a replacement pair of Mavic SSC rims for the Raleigh (SB 4197) … 36 hole as opposed to the 32 hole I got with the bike originally. A friend and former bike shop owner with a forty foot container of parts has a stash of Campagnolo hubs among his many bits and pieces. He polishes the hub shells and replaces the internals and has built two sets of wheels for me recently, including the SSC wheelset. Should smooth out the ride (the rear rim has seen better days). Hi, i’m in the midst of a similar build to SB4059, though my SBDU dates from 1984/5. One item I’m struggling with a clear answer for is the BB axle length. The info I have from the following link shows a length of 112.5 (49+30+33.5) for the late version Nuovo Record axle, yet every one I can find for sale with the correct 68 SS inscription has a variety of lengths from 109 to 114.5 – and none at 112.5! My best guess at the moment is that the chamfer at each end is 1 mm wide and is not included in the 112.5 length and therefore 114.5 is the correct overall length. So, my question is: what length is your BB axle? This confuses me every time I look into the subject. Campagnolo didn’t make it easy to understand all their various markings and identifications. Even identifying the group set something belongs to can be problematic! My bike has a 1980 chainset, so that is post the CPSC changes which happened in 78/79 where the front mech, axle and RH crank were changed. The BB axle I have is marked 68-SS (which is new type) and measures approx 114.3 – that is measured from the outside flat faces of each end of the axle. It gives me a good chain line with the 7 speed compact block on the rear wheel. 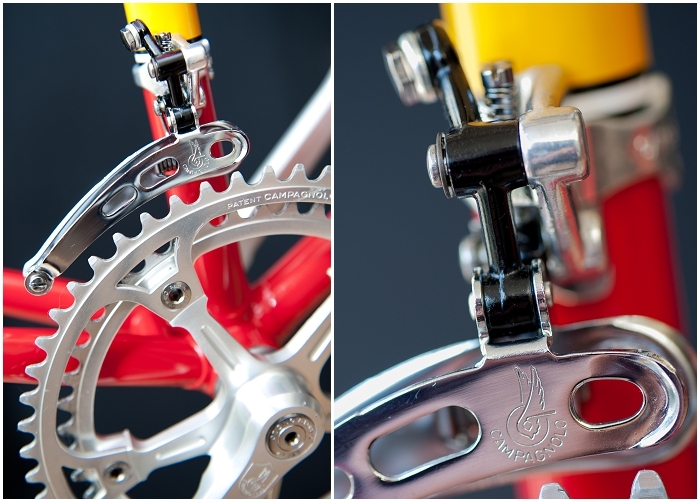 I also gives a nice clearance between the chain rings/crank arm and the chain stay. Hope that helps with your build. That helps alot. Cheers, Paul. 114.5 is the bottom bracket length on 1977 (post-cpsc) cranksets, you can find out everything on http://www.bicycleclassics.com. Best wishes and good luck! Hey, fellas. I have a Raleigh 753, SB3548…also the number 57 stamped on the BB as well. Any idea what year or history of the bike? I bought it at the Los Angeles bike expo in the late 80’s. Getting ready to refinish the frame set (dark blue currently), and wanted to refinish period-correct. Any info would be helpful. Thanks! Hi Tommy. Thanks for getting in touch. Your bike dates from late 1979. There are no accurate records of frame numbers but based on other known bikes and numbers, that is were I would date yours. I have one with SB4059 which I believe is the last 6 months of 1980 – SBDU made approx 700 frames per year. The “57” is the frame size measured from centre of BB to top of seat lug. Unless you can see any signs of renovation, the dark blue may have been the original colour. SBDU at that time will have been predominately producing bikes in the TI-Raleigh team colours of red/black/yellow, but other colours such as dark blue were available on request. If you got your bike in the late 80s, then it is probably the original colour unless it was repainted in the first 8-10 years of its life. SBDU paint lasted really well. Thanks, Neil! Good to know. I think I will be refinishing in the original blue…just have to find the decals now. Hi Eric – sounds like you have a lovely frame dating to approx the last 6 month period of 1976. There is no real accurate date timeline for SB frames but I believe 1976 started at about SB600’ish give or take 30 frames. So yours is probably later in that year. 753 was available to the public in 1976 so definitely could be correct for 753. SBDU brackets at this time would have had “Made in England” across the length. Most track BB shells were plain but some may have had 4 slots milled into it. Hope that helps, Would love to see some images. The tops of the seat stays and how they are finished can tell a lot about an SBDU frame and if the head lugs have cut out windows or not. I was a very lucky young lad back in 1975 just before I joined the RAF in early 1976 I bought OD174 from Tony’s bike shop in Copley Road, Doncaster. I’d been itching to buy a decent bike and had known Tony for a few years. I’d saved all my wages from labouring on building sites and had £120 saved. Tony didn’t do used bikes but the day I went to order my bike he said come and try this for size. (He’d measured me up a few weeks before and knew my dimensions) I couldn’t believe what I was being offered. I told him I couldn’t afford it before he’d mentioned a price. £130 was mentioned. I said I’d get the bus home and borrow the extra tenner. I returned half an hour later with ten quid and my shoes. Tony announces that £120 has been agreed with the seller so I buy a black Lutz tracksuit and ride the ten miles home in ecstasy. The following year I was at a criterium in Lincolnshire and someone from Ilkeston asked for a look at my bike. He proceeded to tell me it’s history and previous owner Gerald O’Donovan! Hence the frame number which you’ve explained in your article. I was hard up on my return from Germany in 1985 and sold the bike for £150 having clocked 1000’s of miles here and on the continent. Many people have told me the frame number isn’t genuine and that it should start SBxxx but you’ve confirmed that team bikes had a different number scheme. Many thanks you’ve given me some information that backs up my story. The fella at the crit might have been Mike Mullett but I’ve no idea. I dream of seeing it again, owning it again would be amazing but I imagine very costly. Still riding but more sedately – did The Camino on road bikes with my son in 2014 – 500 miles/27000ft ascent/descent in nine days. That is such an interesting bike and even better back story. The SB numbering system would not have existed when OD174 was built. The SBDU was set up in late 1974 and that is when the SB numbers were started. Your bike would have been built in 1974 but was built at Carlton’s Worksop facility. Your bike is a 1974 Raleigh Team Professional – a bike model built at Worksop – Worksop being the unit run by Gerald O’Donovan. Maybe it was built for him as some kind of symbol marking his upcoming departure to set up the Ilkeston unit? 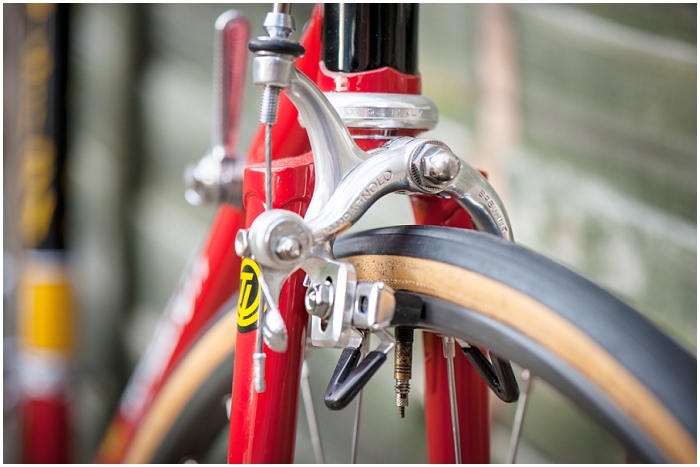 The seat stay/seat lug arrangement is undeniably the Raleigh Team Professional style – this design wasn’t done at Ilkeston, they built with the standard side attached seat stays and didn’t reintroduce a form of fastback until the 80s. I don’t think it would have been Mike you met at the crit – I believe he started at Ilkeston in 1978, but it probably was someone from Ilkeston and probably someone that came from Worksop with Gerald in 1974 and probably the reason he knew about the bike.